WorkForce Forecasting and Scheduling uses data from your key business systems to create schedules according to the unique demand of each location and avoids any over or understaffing. WorkForce Forecasting and Scheduling, allows you to intelligently forecast and accurately schedule employees across multiple sites within your organization. We help you engage employees, empower managers, and improve compliance with local labor laws. 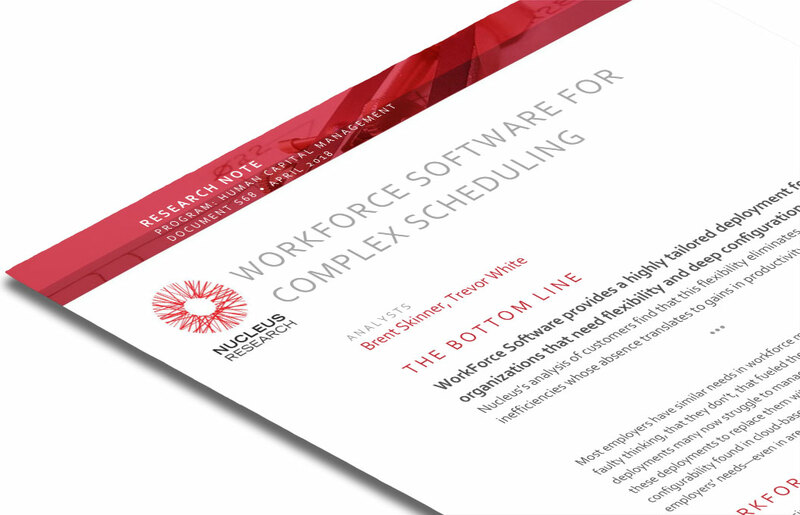 In this report, Nucleus Research analyzes the capabilities of WorkForce Software’s solutions for complex scheduling along with 2 customer profiles. Download your free copy today.